San Mateo Movers | Cummings Moving Co.
With a long to-do list to complete before moving to San Mateo, it’s easy to overlook your pets and their needs during the moving process. Because you want to minimize the amount of discomfort for both you and your pets, take some time to prepare and plan ahead of your move. 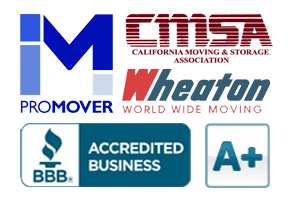 The Cummings Moving Company has been moving people in and out of San Mateo since 1969 so we have the experience to back us up. We have a passion for what we do and try our very best to maintain a reputation for excellent customer service and top quality relocation. When you move to a new place with Cummings Moving Company, we want your whole family to be at ease. This includes your dogs, cats and other household pets. We are extremely sensitive to their needs and will do everything we can to make this transition an easy one. The secret to pet relocation is planning. Follow these tips to minimize stress on your beloved animal companion. Talk to your vet and let him/her know that you are moving to San Mateo. Make sure all vaccinations are up-to-date and get a copy of vet records so that you can provide it to the new vet office. See if you can get a recommendation from your current vet on a new vet in the San Mateo area. If your pet suffers from any sort of anxiety, you may want to ask the doctor for medication to help your pet during the move. Make sure that you update your pet’s tags with proper identification that include your new address and contact information. This will come in handy if something were to happen during the moving process. If your pet is micro-chipped, be sure to contact the appropriate company to have the microchip information updated. If your pet isn’t micro-chipped, now may be a good time to do it, especially since it is relatively inexpensive. 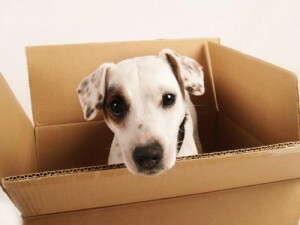 Do your best to keep your pet secluded from chaos on moving day since pets can easily be stressed. Keep them in a separate room or have a friend or family member watch them while the movers are in the house and items are being moved around. Be sure to leave medications and food outside of moving boxes for easy access. This way, you can pack most of it along with your belongings without having to worry about digging through boxes to feed your pet. If your pet is on some type of medication, be sure to get them filled before moving. Make sure your first aid kit includes bandages, towels and hydrogen peroxide. If you are transporting your pet to San Mateo by car, the best thing to do would be to keep in a crate. Having them roam freely around can be dangerous for both of you. If you are flying, make sure you meet all necessary airline requirements and purchase a proper crate for the flight. Find out what the laws and regulations are about in your new area. You may need to register your pet, pay a certain fee or certain vaccinations may be required. Being prepared will give you time to take care of it before you arrive. The best time to do this is when the house is still empty. If there is a fence, make sure that you repair any holes or gaps that your pet could get through. Make sure that there’s no poison or dangerous substances lying around that could harm your pet. Doing a general safety and security check will make you feel more comfortable letting your pet roam around. Following these few simple steps will make the move to San Mateo easier and safer for your animal companion. Fido, Fluffy, Floppy and Ferret Bueller will thank you!